Star automation, specializes in servo drive programming, development, manufacturing and sales of high-quality low-cost motion control products and speed control of servo motor. Our Servo products at extremely competitive prices and we have been successfully applied and proven in thousands of applications such as electronics equipment, analytical and medical instruments, assembly, semiconductor manufacturing, packaging, engraving, textile equipment, robotics and pick-and-place devices. 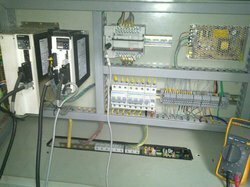 If you are looking for servo drivers and servo motors, please contact us. We will do our best to help you find the servo drives and motors that you are looking for at the most competitive prices possible.